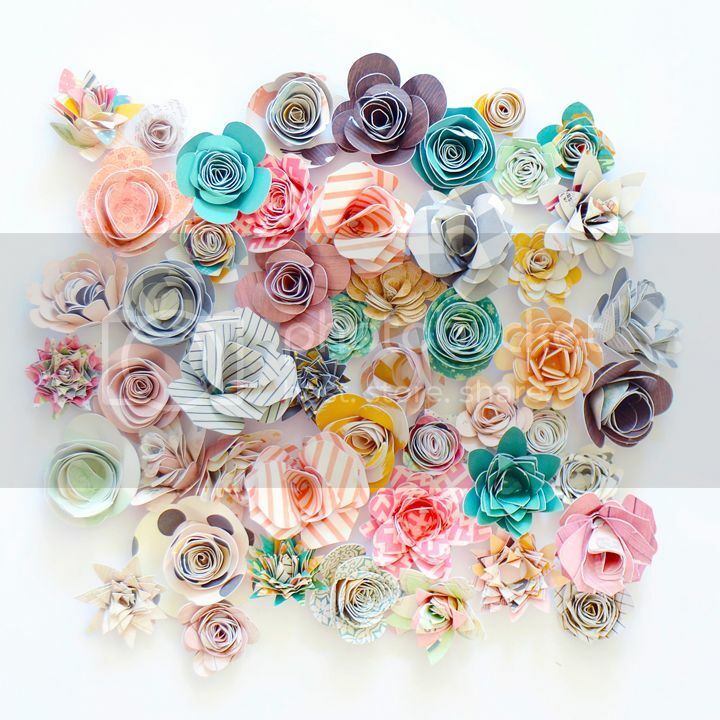 There are 3 spring-themed projects and I'll be honest, it was such a nice change of pace to step away from traditional scrapbooking for a bit and focus on home decor and other paper crafts! I need to do this more often. That is so gorgeous! I love the projects you've made! Ohhhhhhhhhhh I love love love those flowers!!! Gorgeous!!!!! These would look stunning in a shadowbox frame, just like this! I just love your class "paige's pages" so inspiring!! and those flowers are stunning!! Can't wait to see your new class!